I am all about making things easy. Life is just too dern complicated as it is. So why make it more difficult? I’m totally on the easy bus this week y’all. And I think you’re going to like it. I think the kids will like it. The dog may even like it. Do you remember a while back I told you I wasn’t crazy about my food touching? Unless of course it was MEANT to touch…like peas and carrots, and meatloaf and mashed potatoes? Well. I was SO lazy this weekend, I decided it would take way too much effort to actually mix my meatloaf and mashed potatoes after the fact, so I went ahead and “pre-mixed” them. 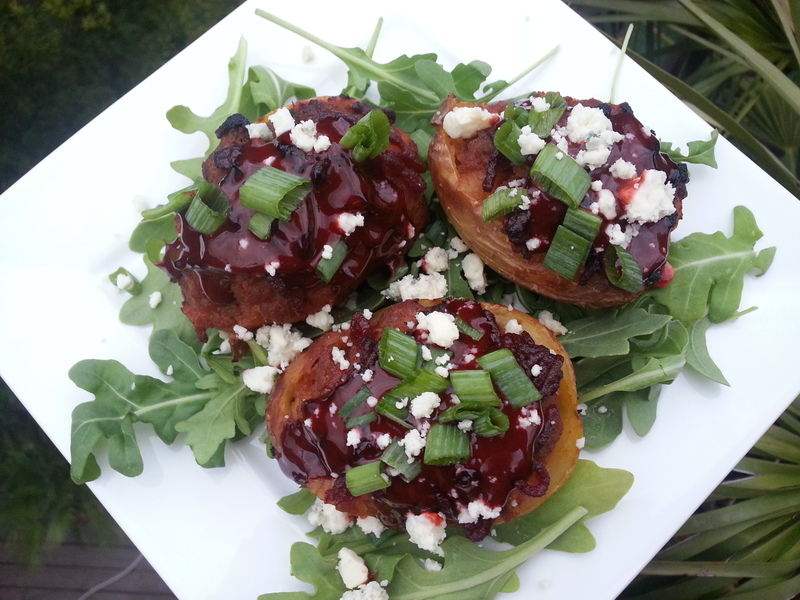 I stuffed it all into one cute little potato skin, brushed it with a sweet and tangy BBQ sauce and threw on some of my favorite smokey bleu. I turned two recipes into one! Not only did these make a great, simple dinner, but these made awesome snacks for the football games we watched all weekend. Is that the epitome of the easy bus or what? 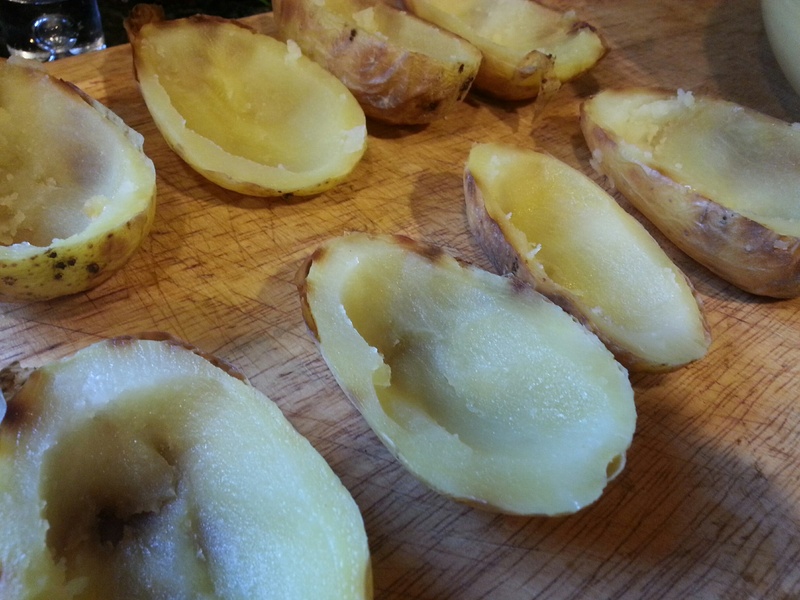 Slice baked potatoes in half and scoop out inside of potato with a spoon. 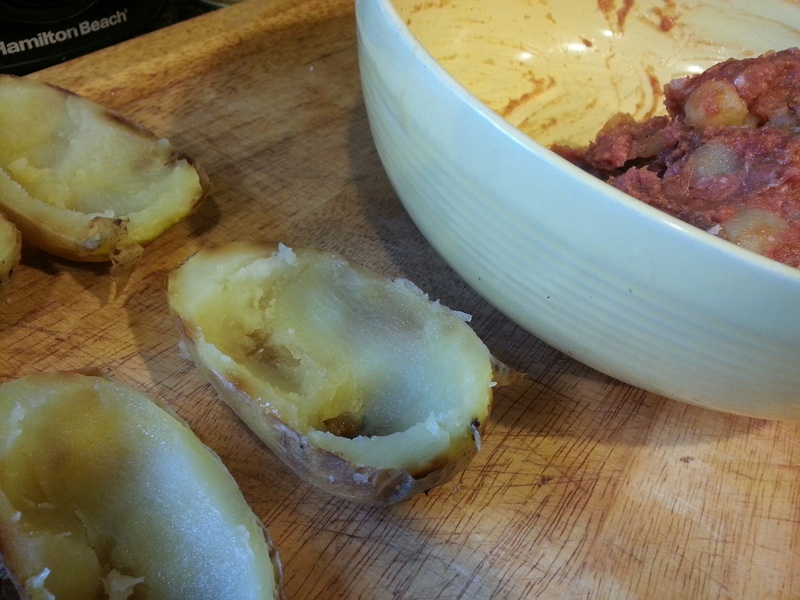 Place in a large mixing bowl with remainder of ingredients. Mix by hand until all ingredients are well mixed. 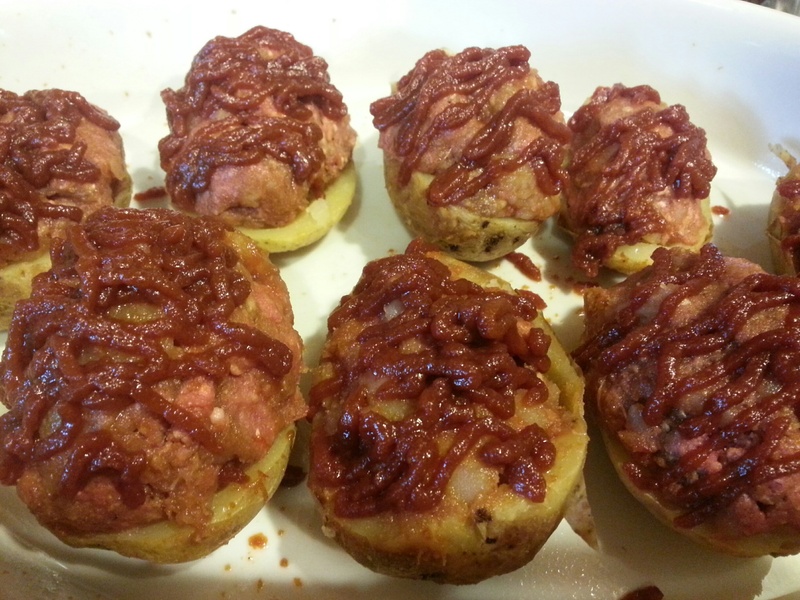 Fill potato skins with meatloaf mixture. Bake at 375 for 30 minutes. Prepare sauce by whisking all ingredients. 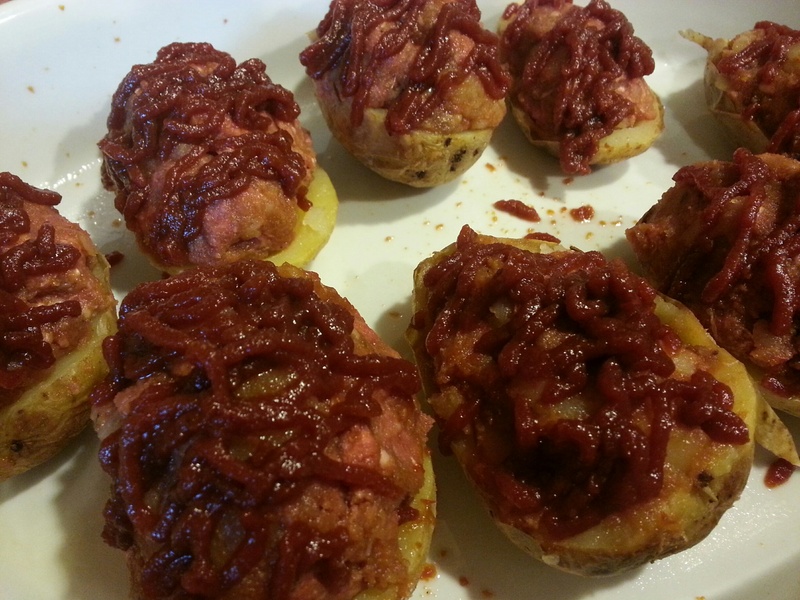 Top potatoes with sauce and continue baking another 15 minutes or until meatloaf is cooked through. Top with additional green onions and bleu cheese. 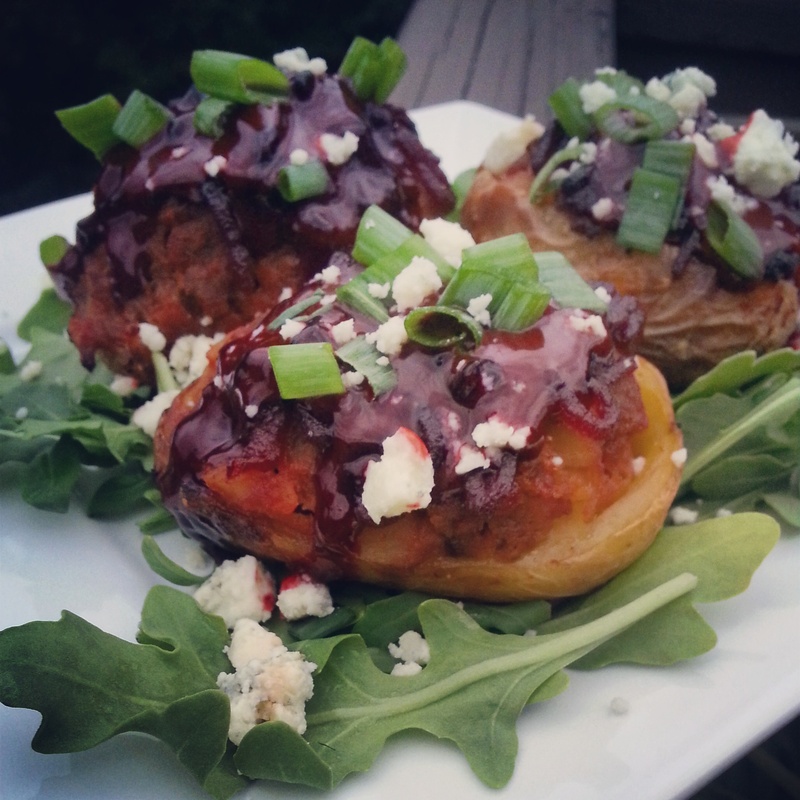 Note: You can also make these with sweet potatoes and fill with Shepherds Pie. They freeze great individually and reheat beautifully for after school snacks. 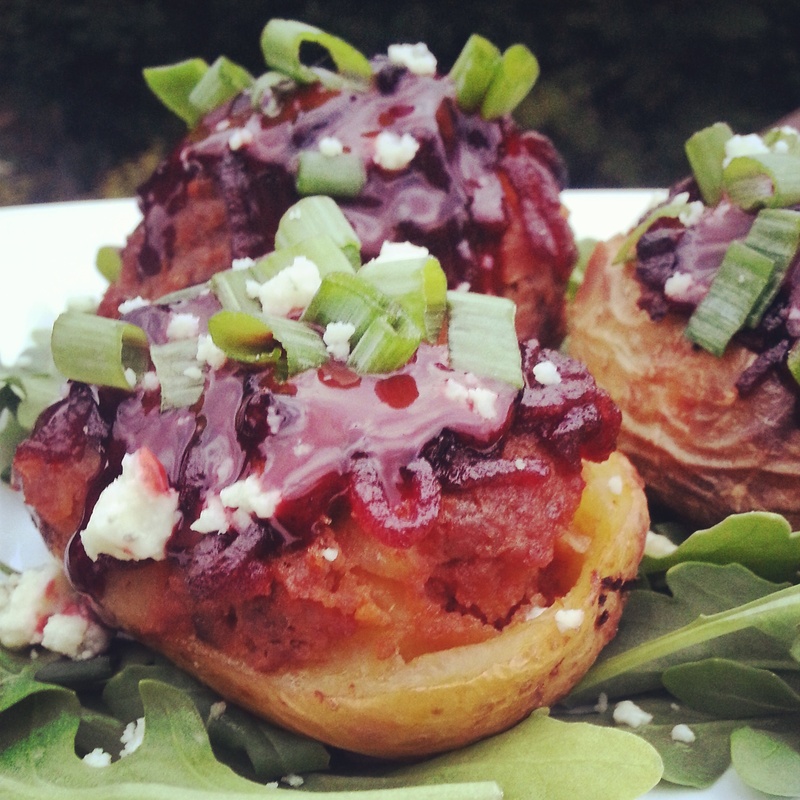 For more great meatloaf recipes like meatloaf and mashed potato cupcakes or parfaits, check these out here!